The Seasons Residences showcases the synergy between Japanese aesthetics and technology. This new development by Federal Land, Inc., in partnership with Japanese firms, Nomura Real Estate Development Co., Ltd. and Isetan Mitsukoshi Holdings, Ltd., will be a Japanese-inspired residential condominium in the Philippines, and home of the first Mitsukoshi mall in the country. 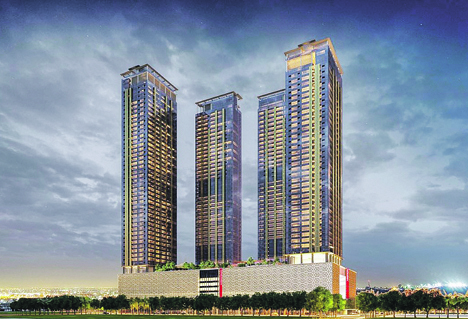 Located in the northern part of Bonifacio Global City (BGC), the Seasons Residences will comprise four residential towers reaching up to 41 to 50 levels. The first tower, Haru, will have 304 residential units, with areas from 49 up to 175 square meters each. Each unit will bear the Japanese hallmarks of balance and design efficiency. These can be seen in space-maximizing fixtures such as the distinct shoe cabinet at the foyer, the kitchen floor storage, and spacious kitchen and bedroom cabinets. The kitchen sink will be fitted with accessories to make food preparation more convenient, while a below-floor drainage system in the bathroom will allow for easier pipe maintenance and water leakage protection. In the bigger units, a separate shower and bathtub highlights the Japanese tradition of ofuro (which means “bath” in Japanese). To the Japanese, bathing is almost a sacred ritual and is used to alleviate physical stress and boost mental wellness. The units in The Seasons Residences are all equipped with a rangehood with Japanese oil-filter technology, as well as air-washing tiles that minimize excess humidity, unpleasant odors, and harmful substances in the air. For conservation and resource-saving purposes, bathrooms in each unit will be fitted with the multifunctional Toto washlet and ecowasher that allows residents to fully adjust water settings when using their toilets. Specific common areas will also be equipped with motion-sense lighting for better energy efficiency. The entire development will feature a damper system or vibration control technology to minimize vibrations from both strong winds and earthquakes, as well as fire detection and alarm systems to prevent accidents. Personal key card access for the main door and elevators will be provided to unit owners, while audio-video guest annunciator systems will also be in all units for additional privacy and protection. 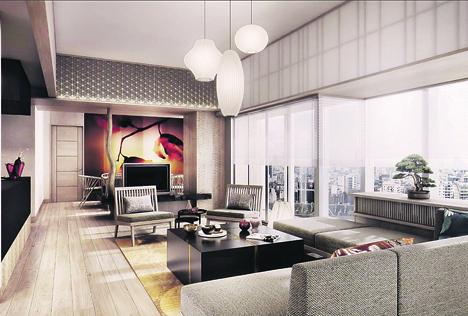 The amenity floor of The Seasons Residences will be divided into zones that reflect the four seasons of Japan. Active spring will house a well-equipped gym and daycare for kids, as well as a tranquil garden where residents can enjoy greenery and find their inner zen, while breezy summer will feature separate pools for kids and adults, children’s playground and a room for karaoke (a favorite Japanese pastime) and a game room for teens. The first tower of The Seasons Residences, Haru, is targeted for completion in 2023. Topics: Seasons Residences , Federal Land Inc. , Nomura Real Estate Development Co. Ltd. , Isetan Mitsukoshi Holdings Ltd.